Created intentionally for the "Well'Come!" show performed by the Posuë Dance Company, Melanesia X is the fourth album in a catalog of new and unusual musical forms, from Oxaï Roura, percussionist and vocalist. May 3, 2011 - PRLog -- Combining Electronic Outer Space, Abstract Hip-Hop, Shamanic colors and Hypnotic Sounds from the Pacific; A Brand New Sonic Experience Has Emerged Opening Ears And Doors Around The World. Created intentionally for the "Well'Come!" show performed by the Posuë Dance Company, Melanesia X is the fourth album in a catalog of new and unusual musical forms, from Oxaï Roura a percussionist and vocalist hailing from Brazil now living in France. Oxaï Roura’s very unique music might be described as an outstanding blend of weird electronic sounds, mystical voices and spiritual percussions from various parts of the world. Melanesia X and the “Well'come!" show (music and dance) has been supported and rewarded by the A.D.C.K Nganjila Tjibaou Center, and won the prize "Emergences 2010" in New Caledonia! Maré Sanogo. Orlando Poleo and Martha Gallaraga taught him Yorouba chants and rhythms on Congas and Batas. 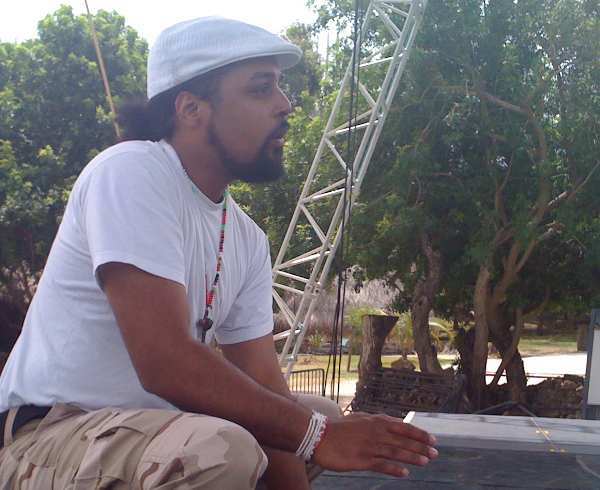 Immersed in learning the traditional ways while at the same time openly interested in varied music styles and genres like Metal, Reggae, Jazz, and Jazz Fusion, Oxaï Roura created and supported many esteemed groups in the 90’s. Oxai’s utilizes his music as a spiritual tool which assists in the discovery of hidden things within the inner self. His creations are meant to entertain and bless as well promote the spiritual dimensions of human experience. Melanesia X is available now through www.artistsforchange.ca and is a reflection of Oxai Roura’s purposeful compositions to use music as a vehicle in making the world a better place. With intention and purpose there is a solid dub influence on Melanesia X and as with a great musical journey is meant to bring all people together and promote peace for the planet. Featured on the artists for change website Melanesia X is thirteen tracks all under five minutes in length and categorized under the Electronic Genre. It was released February sixteenth, two thousand eleven and sells for the easy price of six dollars. Melanesia X is available in digital download only and “Artist For Change” profits are invested in projects initiated by non-profit organizations that specifically benefit the economy, social living, and humanitarian causes. Norcal Press is a top tier professional press release writing service and distribution company helping businesses around the world get the news out!